Here at MagCloud, we love pets, so it’s no surprise that some of our team members have published “Puppy’s First Year” photo books, created wall calendars or even made custom placemats for their furry friends. Whether you have a goldfish, a Peterbald cat, a purebred Great Dane or a rescued mutt, there’s bound to be a product that will help you pay tribute to your furry (and sometimes fur-less) companions. Using cool action shots, fun Instagram photos or ‘selfies’ of you and your pet, you can create beautiful square photobooks to commemorate your pet’s first year, or as a gift for your favorite animal-lover. Blank templates to get you started with MagCloud’s square product are available in the Getting Started section of the site. Or if you want a little more help with design, you can use our partner Poyomi. Poyomi is a web service that lets you take your desktop or online photos and easily lay them out as a calendar or photo book of many sizes and have them printed and shipped on-demand via MagCloud. If you’re involved with a pet service, cause, or adoption agency, MagCloud’s glossy flyer product is perfect for pet adoption flyers or event promotions. We personally love a good ‘yappy hour,’ or ASPCA fundraiser. You can spread the word for your cause or event for as little as $0.24 a copy when you order 20 or more digest-sized flyers. Monty, MagCloud’s unofficial mascot and Canine Consultant even has his very own personalized placemat for a water bowl in his office. Using the poster product in a landscape format we created a custom graphic that looks like a sketch of a place setting on chalkboard. While the poster isn’t 100% waterproof, it does hold up well, and at $2 for a new one, it can be changed out seasonally, or swapped for holiday and sports-themed versions. You can download this image to create your own–just place it in any MagCloud 18 x 12″ poster template in your favorite software and add your pet’s name in white text. Calendars aren’t only for a new year, you can still create a custom photo calendar to enjoy through the end of 2014. We’ve modified our 2013 calendar templates to go from July 2013 to December 2014 in our Standard (8.25″ x 10.75″) and Small Square (8″ x 8″) formats for InDesign CS4 and newer, and Apple Pages. Just download the template for the size of calendar you want to create in your software of choice, add your photos and use the included instructions to export a PDF for uploading to the MagCloud website. If creating your own calendar file in InDesign or Pages isn’t for you, then this could also be a great time to check out our partner Poyomi. In addition to photo books, Poyomi lets you create a calendar just by uploading your photos from your computer, SmugMug, Picasa, or Facebook, and then you can have it uploaded automatically to your MagCloud account. If that’s not enough pet-mania for you, Monty has picked out some of his favorite publications available in the Pets Category of the MagCloud Shop. Everything Pet in the Northwest–We cover pet health, welfare, events, and just about everything else for our readers in the upper-left-hand-corner of the map. July’s issue is full of great pony stories, summer tales, art, horse themed crafting projects, and a great tale about Equitarian Initiative in Haiti. 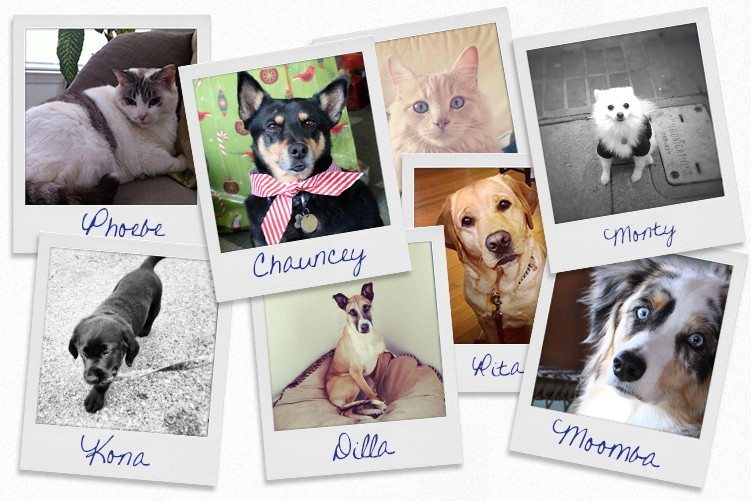 Animal lovers: be sure to stay tuned for a MagCloud Instagram pet contest coming your way soon!